A public meeting is to be held on Saturday 26 January 2019 at 8am on the Luhlanga road overlooking the proposed project area. This meeting was specifically requested by MCEJO on 11 December 2018 when the meeting called by Black Rock Environmental failed to include the community. Somkhele Anthracite Mine intends to extend it’s existing Luhlanga opencast pit and rock dump. 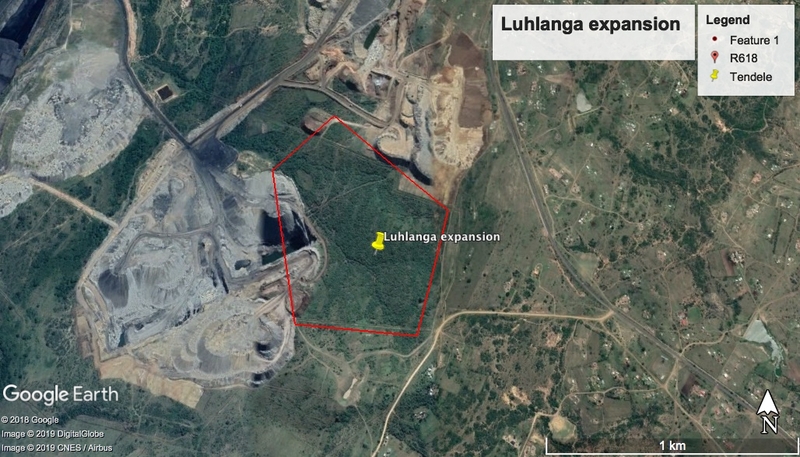 The Luhlanga pit extension is approximately 18ha. The proposed extension includes an increase in the footprint of the waste rock dump to 50 Ha, making the total extension 68 Ha. This expansion will require environmental authorisation in terms of the National Environmental Management Act 107 of 1998 (NEMA). Posted in Somkhele and tagged Somkhele, Tendele Coal Mine.